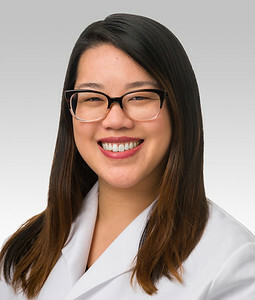 Jennie Lin, MD, MTR, assistant professor of Medicine in the Division of Nephrology and Hypertension, was a co-author of the study published in Science Translational Medicine. A team of scientists has identified thousands of lincRNAs — long non-coding RNA molecules produced by so-called “junk DNA” — that are unique to human fat cells and may in fact play an important role in fat metabolism. The findings, published in Science Translational Medicine, suggest the clinical significance of lincRNAs and other human-specific molecules that aren’t found in animal models, and could lead to novel treatments for obesity and related diseases in the future. “We are still in the early stages of figuring out how lincRNAs function in human disease, but what used to be considered ‘junk’ in the genome may actually point us towards the jackpot of developing effective therapeutic approaches for cardiometabolic diseases,” said Jennie Lin, MD, MTR, assistant professor of Medicine in the Division of Nephrology and Hypertension, and a co-author of the study. Long intergenic non-coding RNAs (lincRNAs) are transcribed from what was previously known as “junk DNA” — portions of the human genome that do not code for proteins and were originally thought to be non-functional. Only recently have lincRNAs been recognized for their role in a variety of biological processes. As such, the molecules are still poorly understood and their function in disease is unclear. Furthermore, many human lincRNAs are tissue-specific and species-specific, and cannot be found in traditional mouse models and thus have not been well studied. In the current study, the scientists examined the RNA content of fat tissue from 25 healthy and lean participants. They discovered that thousands of lincRNAs in human fat cells are not found in mice, and that many of these human adipose-specific lincRNAs share features that suggest they play a role in fat metabolism. The team also looked closely at the most prevalent molecule, linc-ADAL, which is not expressed in mice and had never been studied before. Their findings showed that linc-ADAL plays an important role in how fat cells develop and store fat. The study demonstrates the importance of taking a human-centric approach to studying pathways relevant to fat metabolism, the authors say. The study, led by Muredach Reilly, MBBCh, of Columbia University Medical Center, was supported by grants from the National Institute of Health grants R01-HL-113147, K24-HL-107643, R01-HL-111694, R01-GM-108600, R01-GM110174, R01-AI118891, R01-HL122993 and the American Diabetes Association 1-16-PDF-137.